Space Safety » Archive » Press Releases » Why Do Astronauts Grow Taller in Space? The ISS Spinal Ultrasound Investigation studies the impact of astronauts’ spinal elongation (Credits: iStockphoto/S. Kaulitzki). Did you ever wish you could be just a teensy bit taller? Well, if you spend a few months in space, you could get your wish — temporarily. It is a commonly known fact that astronauts living aboard the International Space Station grow up to 3 percent taller while living in microgravity. They return to their normal height when back on Earth. 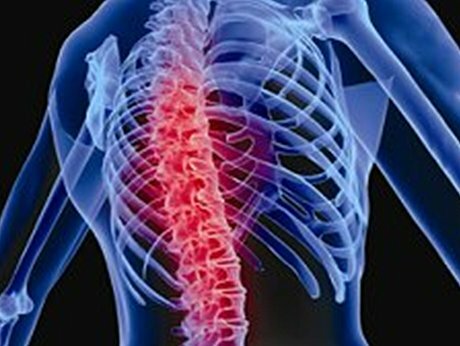 Studying the impact of this change on the spine and advancing medical imaging technologies are the goals of the Spinal Ultrasound investigation. Part of the difficulty with imaging the spine is quite simply human anatomy. Using Ultrasound 2, the machine aboard station as a facility for human health studies, astronauts have an advanced tool to view the inner workings of their bodies. The research could help with developing exercises for better crew health and guiding improved rehabilitation techniques when astronauts return to Earth. Understanding how changes to the spine occur in real-time response to life in space also will help crews prepare for future long-duration missions. 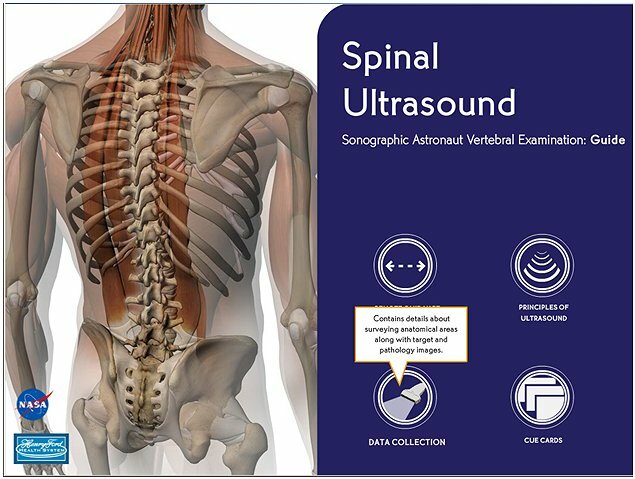 The Spinal Ultrasound training tool that launch in the fall of 2012 (Credits: NASA/Scott A. Dulchavsky). Another benefit of this research is that spinal ultrasound could gain clinical acceptance on the ground for medical testing. Dulchavsky points out that this shift could reduce costs and provide a safer imaging option for patients. Six crew members will serve as test subjects for these spinal ultrasound scans. The data sessions are scheduled to take place on orbit starting in January 2013. An astronaut will scan the spinal area of a fellow crew member at 30, 90, and 150 days into flight. Researchers will watch in real time from the ground via streaming video downlinks. Ultrasound images will focus on the cervical and lumbar areas of the spine and surrounding tissues. The test subjects will also undergo pre- and post-flight ultrasound and MRI scans on Earth to provide baseline data. Ultrasound technology is convenient for use not only in space, but also here on Earth. Due to the portability of the machines, the rapid training methods developed by NASA researchers and the repeatability, ultrasound can offer an inexpensive and scalable alternative to MRIs for healthcare needs. Medical personnel already make use of the training methods developed for the space station crews when using ultrasound in remote areas. So just why do astronauts get taller in space? Researchers are hoping this study will help answer that question, while also growing medical knowledge of the spine and improving ultrasound methods and procedures.